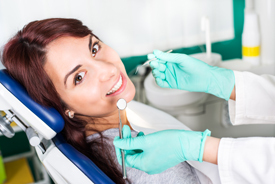 Routine dental exams are crucial to maintaining long-term oral health. 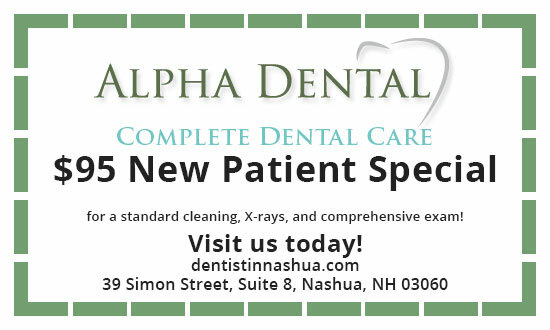 It’s recommended that you visit Alpha Dental every six months for a routine cleaning and exam. During the first half of your appointment, a dental assistant for Dr. Ahmed cleans and polishes your teeth in addition to properly flossing them. We have the equipment to remove built-up plaque and debris between your teeth that you probably don’t have at home. After the dental hygienist finishes cleaning your teeth, Dr. Ahmed performs a quick oral examination to determine if you have any issues that require further treatment. Preventive dental care helps to spot and treat oral health concerns early before they become more advanced and problematic to fix. Assessment for Gum Disease: Most people don’t realize they have gum disease until it’s in the advanced stages. When gum disease is not treated, it can increase the risk of heart and lung disease, diabetes, and some cancers. Checking for Tooth Decay: Your dentist uses specialized equipment in order to check the entire structure of each tooth for signs of decay. Dental Restoration Inspection: Dentures, dental implants, crowns, bridges, and other dental restorations require regular inspection to ensure that they are still in good condition. Oral Cancer Screening: The presence of red or white sores in your mouth are early indicators of oral cancer. This screening helps to detect the problem so your dentist can develop a treatment plan right away. Removal of Plaque and Tartar: A build-up of tartar means that you have hard deposits on your teeth that can leave them with a yellow discoloration. Plaque is harder to see because it is a form of colorless bacteria that attaches to the surface of teeth. When bacteria isn’t removed, it can cause decay or infection. A dental hygienist scrapes plaque and tartar off your teeth to give them a better appearance and to reduce your risk of developing an oral health disease. Teeth Polishing: Regular tooth brushing and flossing gets your teeth clean, but may still not be enough to get rid of plaque and bacteria. A professional teeth cleaning eliminates these problems while getting your teeth as shiny and white as possible. X-rays and Diagnostic Assessment: X-rays allow your dentist to view oral health problems such as impacted wisdom teeth, cysts, tumors, infections, and decay. Some dental insurance providers limit diagnostic x-rays to once per year. Our dentists may perform additional services depending on the patient’s age or whether he or she has a disability. For example, children may receive a fluoride treatment or dental sealant as part of their regular preventive dental exams.